Back in PSA World Tour action for the first time in 2014, top-seeded Egyptian Ramy Ashour thrilled the crowd at Linköping Sporthall when he defeated German No.1 Simon Rosner in the opening round of the Case Swedish Open, the PSA International 70 squash event celebrating its 11th year in Linköping. 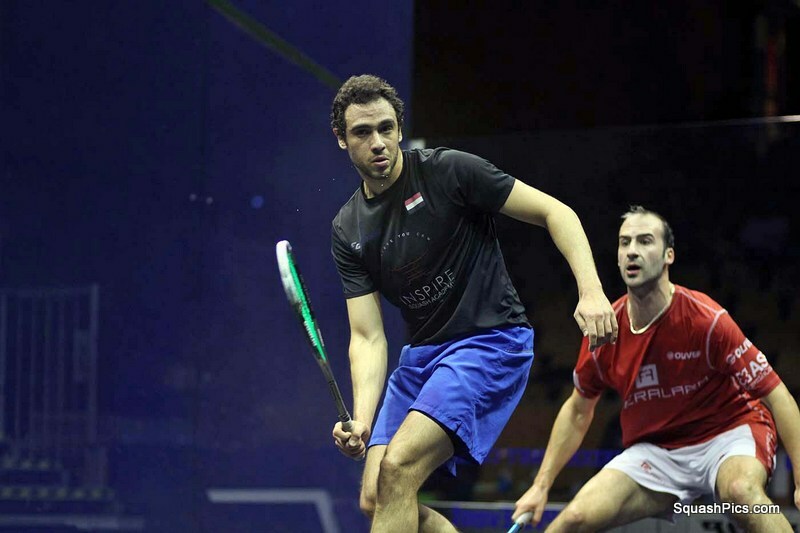 The day’s final match was the one most eagerly-anticipated – with Ashour, who topped the rankings throughout 2013, making his first appearance since sidelined by a hamstring injury aggravated in the Hong Kong Open in December. And the 26-year-old from Cairo did not disappoint. 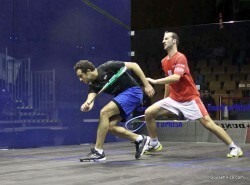 Ashour took the opening game – but Rosner, clearly inspired by the occasion, drew level after game two. 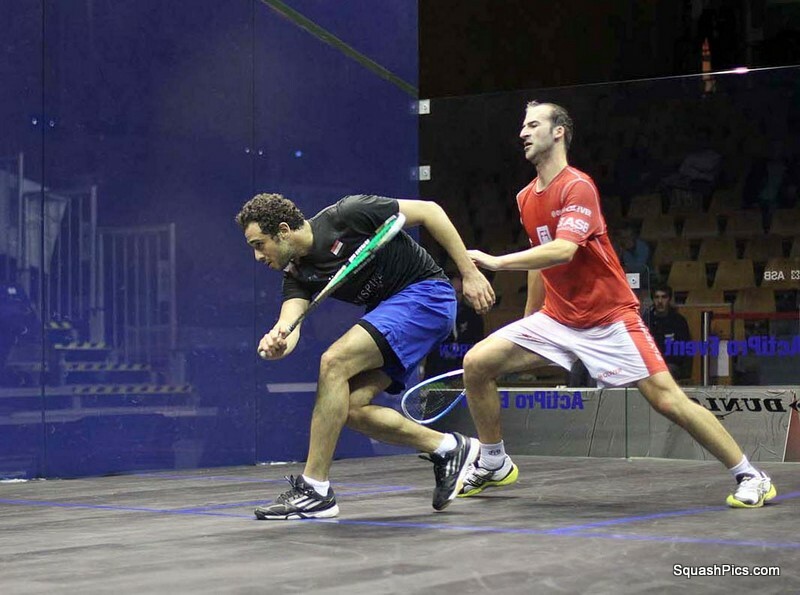 There was little to choose between the two PSA stars as Ashour, now ranked four in the world, edged ahead to take the third before ultimately surviving a lengthy fourth game to win 11-5, 6-11, 11-9, 14-12 after 57 minutes. 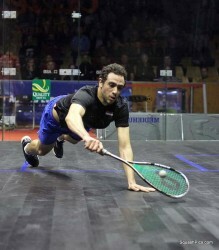 “It’s great to be competing again,” said the Egyptian later. “I’ve been struggling for a while and I’m glad I’m back. “It was a really fun match against Simon – ‘the Beast’ – who I know very well. Rosner was not unhappy with his performance: “Unfortunately lost out 1:3 to an incredible player @RamyAshour tonight!” the World No.11 from Paderborn told his Twitter followers later. “Thought it was a great match from both of us! Even tho I lost. 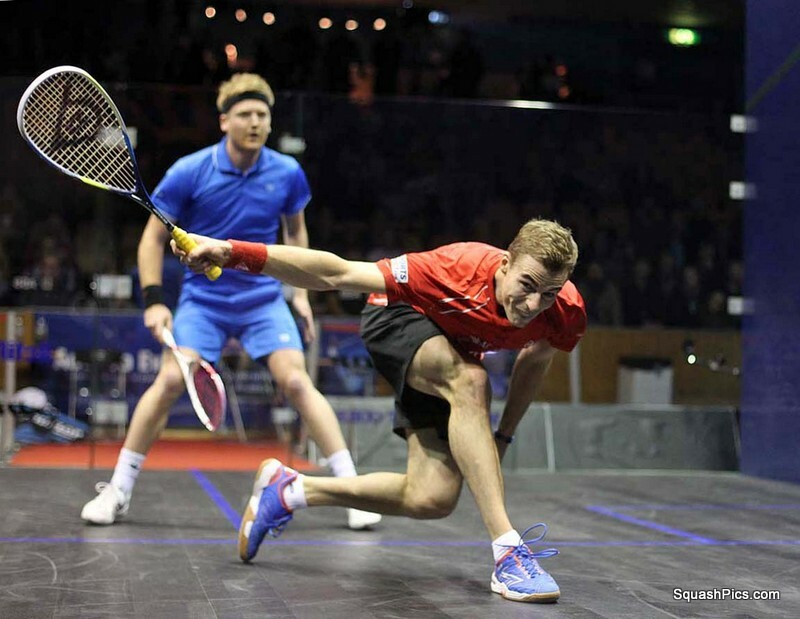 England’s Nick Matthew and Frenchman Gregory Gaultier – the two players who have replaced Ashour as the sport’s first ever joint world number ones – were also in action in Linköping. Matthew, the No.3 seed from Sheffield, survived an all-English clash with Tom Richards, beating the World No.26 11-7, 11-3, 12-10 in 46 minutes. Three-time champion Matthew now faces another England team-mate Daryl Selby. The No.7 seed from Essex twice had to come from behind to overcome French qualifier Gregoire Marche 10-12, 11-6, 9-11, 11-6, 11-1 in 75 minutes. 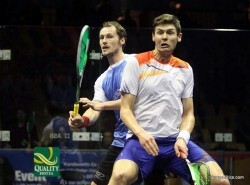 Defending champion Gaultier was at his awesome best as he despatched English qualifierAdrian Waller 11-6, 11-7, 11-4. Bidding for a third title in a row, the 31-year-old from Aix-en-Provence now meets England’s Peter Barker for a place in the semi-finals. 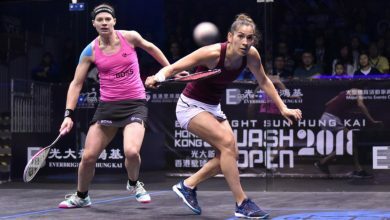 The fifth seed from London finally came out on top in a five-game battle with Cameron Pilley, beating the Australian No.1 11-7, 3-11, 11-7, 8-11, 11-5 in 71 minutes. 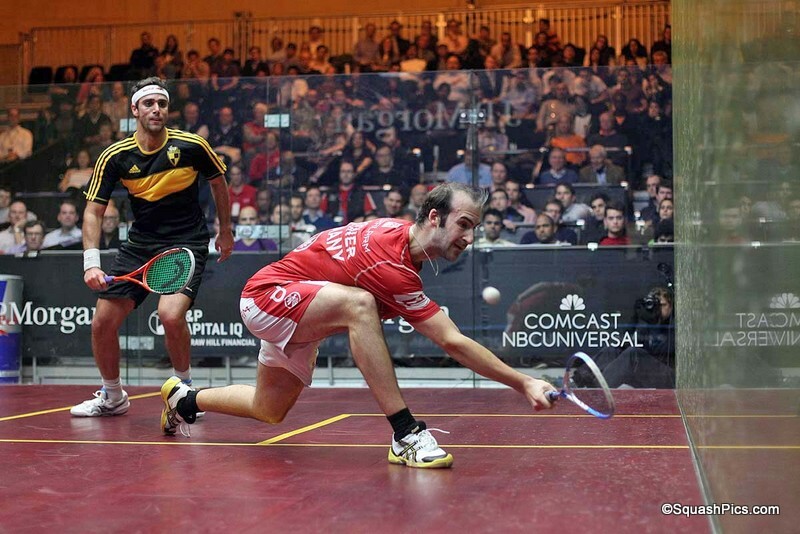 Amr Shabana, the former World No.1 from Egypt who won the first major title of the year at the PSA World Series Tournament of Champions in New York last month, made it through to the quarter-finals after seeing off English qualifier Chris Simpson 9-11, 11-4, 11-3, 11-3. The 34-year-old sixth seed from Cairo will now face top-ranked Spaniard Borja Golan after the No.4 seed defeated French qualifier Mathieu Castagnet 11-8, 11-6, 11-3.